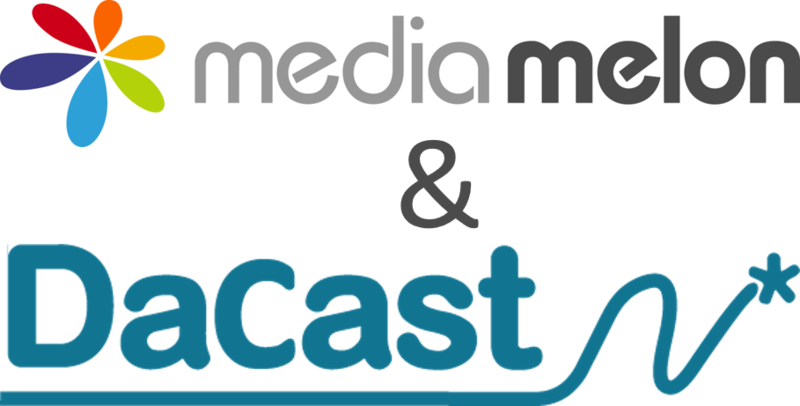 San Francisco, CA – March 19, 2019 – MediaMelon’s SmartSight analytics solution for over-the-top (OTT) video was selected by DaCast, the Streaming as a Service™ platform, to provide upgraded analytics capabilities about its live and VOD streaming solutions. By switching to the MediaMelon analytics solution, DaCast now provides its customers, which include Red Bull, ADP, and Nokia, the ability to dive deeper into their streaming infrastructure. Features include collecting real-time actionable data down to the session level, offering multi-channel alerts, providing content and subscriber insights, and configurable dashboards. Data can be easily viewed in real-time and saved for further analysis. “After making the decision to replace our in-house developed analytics capabilities with a third-party solution, we made sure to explore the options very carefully,” said Stephane Roulland, CEO at DaCast. To empower their customers with actionable intelligence, DaCast decided to use SmartSight’s rich and flexible set of application program interfaces (APIs) to offer advanced services to their clients. With this level of detail, broadcasters are now able to analyze, manage, and substantially improve the performance of their streaming solution. MediaMelon SmartSight is a dynamic real-time streaming video analytics solution that provides actionable monitoring and deep analysis of streaming performance and video usage for the marketing, operations, and engineering teams. Integrated with SmartPlayer QBR Streaming and SmartRoute Multi-CDN optimization from MediaMelon or as a stand-alone streaming video analytics service, SmartSight offers both immediate operational monitoring and deep business intelligence. SmartSight provides a dashboard view of customer engagement, quality of experience, ad analytics, per-subscriber and per-session real-time analytics, and alerts for streaming. Visit https://mediamelon.com/smartsight-analytics for more information. MediaMelon smart streaming solutions optimize the delivery of online video, enabling content and service providers to improve performance, increase revenues, and enhance quality of experience. MediaMelon solutions include patented video quality enhancement technology, intelligent content routing, and analytics. Visit www.MediaMelon.com for more information. MediaMelon and QBR are trademarks and registered trademarks of MediaMelon, Inc. All other trademarks are the property of their respective owners. Founded in 2008, DaCast has been offering video hosting and live streaming solutions to more than 120,000 professional broadcasters and organizations worldwide. In 2018, DaCast was recognized as one of the 50 most influential online video platforms and won the Streaming Media Readers’ Choice Award for Best Small/Medium Business Video Platform. Recently in March 2019, DaCast acquired vzaar, one of the most trusted video hosting platform for businesses, reinforcing its leading position in the OTT industry. Contact us for or more information.